Try Workable’s all-in-one recruitment software free for 15 days. No risk, and no credit card required. 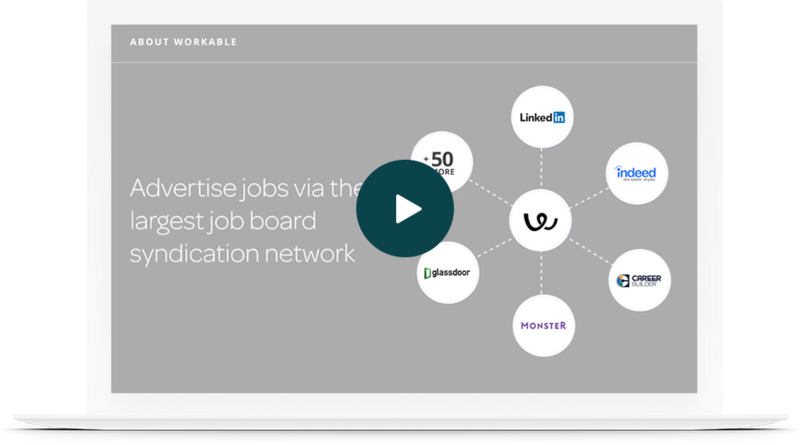 From candidate sourcing to interview management, Workable provides the tools you need to streamline your recruiting. Our innovative applicant tracking system enables teams to work collaboratively. 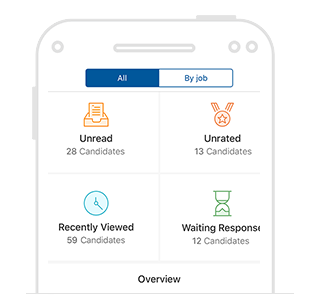 Candidate profiles, email and calendar sync, structured interviews and a full reporting suite make the hiring process more efficient and create a better candidate experience. Post jobs to the best free job boards and get preferential rates on paid job boards. Create a branded, mobile-optimized careers page, no coding or IT team required. Browse hundreds of customizable job description templates and application forms. 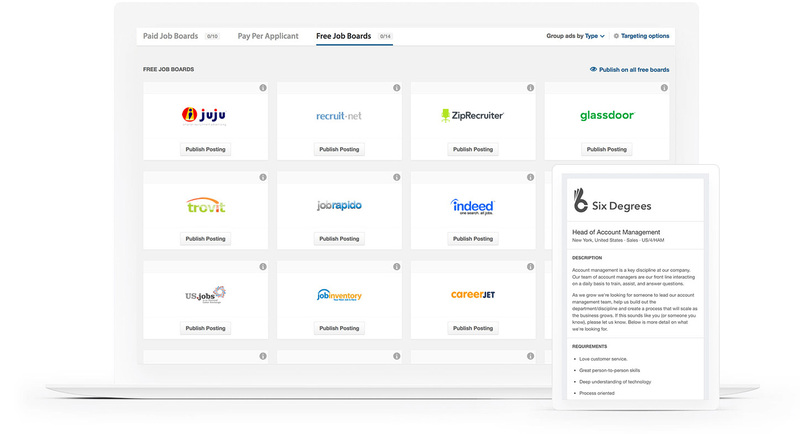 Use skills, keywords and target location to search millions of candidate profiles. Detailed, organized candidate profiles store all the information you need in one place. Sync your Google or Office 365 Calendar to plan interviews with your team. Create interview kits and scorecards for organized, actionable feedback. 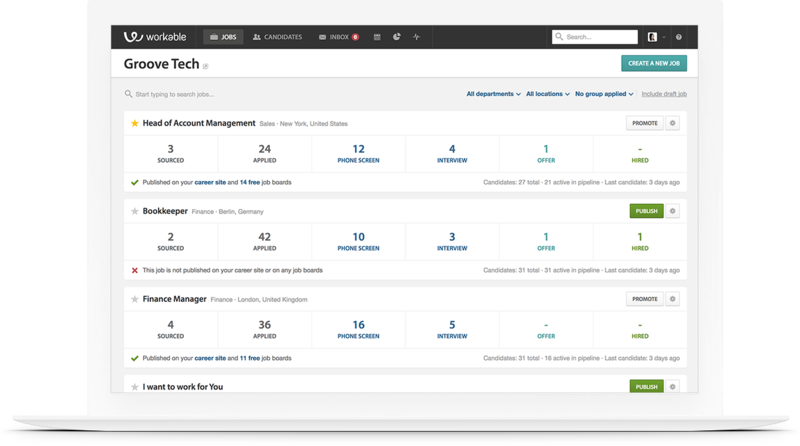 Track metrics including Time to Hire, Team Productivity, Candidate Sources and more. Develop a talent pool of future candidates and get in touch when the right job opens. 99.8% uptime guarantee, compliant with US/EU data protection regulations. Workable integrates with HRIS, background checks, video interviewing tools + more. Work from the office or on the move with Workable’s mobile applicant tracking apps. Workable provides 24/7 in-app support. We’re also available via email or phone.